The weekend in a nutshell. my first stand up comedy show, twelve episodes of Happy Endings and a bottle of wine. 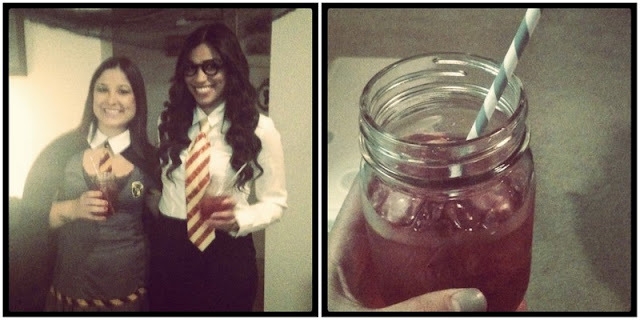 Courtney hosted the most fantastic Harry Potter party on Friday. Moaning Myrtle in the bathroom, the movies playing on all her TVs, tons and tons of treats, HP Scene-It, strong polyjuice potion, costumes & balloon owls floating flying throughout the apartment. It was lovely! Notice the mason jars as glasses & striped paper straws? Saturday night my friend Omar & I went to the comedy theater, Stand Up Live, to see Jo Koy & Michael Yo perform. (The names sound familiar because you've probably seen them on Chelsea Lately.) The show was great, and the venue was cool. Another comedian, Orlando Baxter, opened up for Jo. His act was one of the funniest of the night. Overall...fantastic. I'm still laughing at some of the things they said. Sunday I rewatched Bride Wars for the millionth time, so many Happy Endings episodes and this Halloween banner. 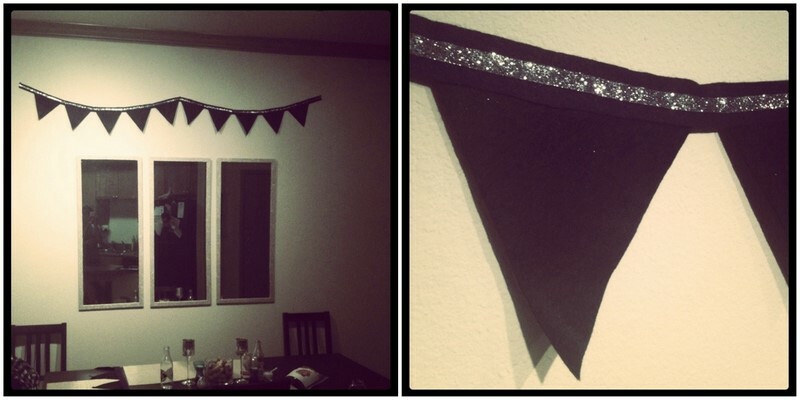 There was a second one until I ran out of glitter ribbon.To be continued! 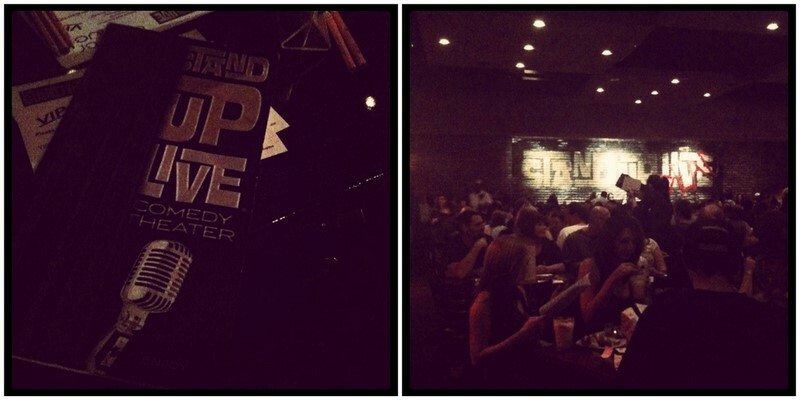 Stand Up Live is so fun. Our good friend/Ryan's law school companion/wedding officiant Matt is a comedian, and he performs and works there! Maybe you saw him! 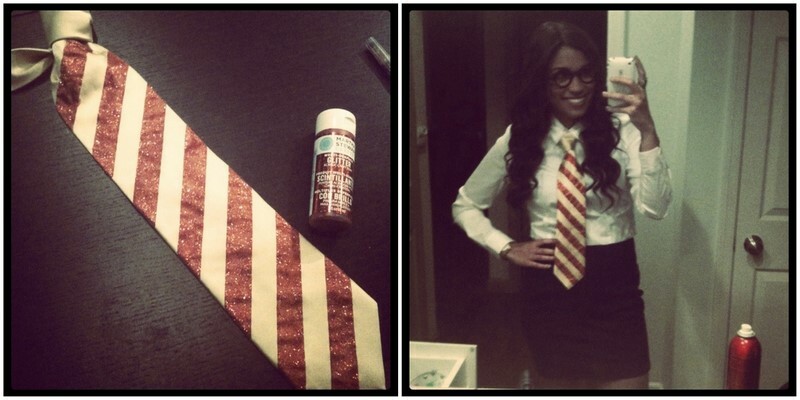 You look adorable in this outfit, I love the Harry Potter inspiration you went for and you look amazing! Your blog is awesome by the way and I am a new follower! Hope you will like my blog and follow back! @Kara - one mason jar strong. That's all I needed! Ha! You have incredibly multitalented friends btw. @Sara - glad you found me! @alex - I'm lame and forgot my camera. So unfortunately iPhone pics are all I have! I'm hoping Courtney will post her photos soon.